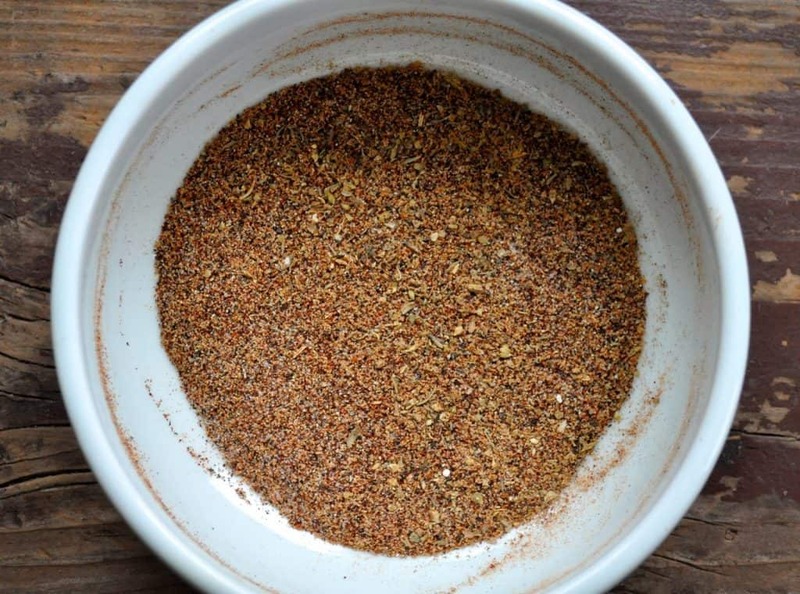 Homemade Taco Seasoning is an easy place to start when making your own spice mixes. You can get everything you need in the bulk bin aisles. You leave all the unnecessary ingredients behind and just get pure flavor. And of course, it cost so much less than those little packets. Try it! 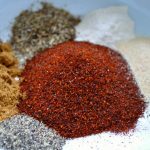 When you start to buy your own spices for spice mixes like homemade taco seasoning the best place start is the bulk spice bins in your local grocery store. I know many folks won’t shop there but you can find great deals on spices. And trying new things from the bulk bins means you can try all kinds of things and not spend a lot of money. One reason to make your own spice mixes is the price. When you buy a little packet at the store for .99¢ or so you think it’s a bargain. But that isn’t necessarily true. Those packets are 1 ounce or so, which means you’re paying 16 dollars a POUND for a spice mix. You can do better than that when you make it at home. And you control the level of spices when you make your own. Don’t like paprika, leave it out. If you like more cumin, add more! You’ll soon figure out just what spices you do like and you can make this basic recipe your own. Plus you won’t get things like: corn starch, “spices”, “natural flavors” and soy bean oil. This had been on my list of items to make for a long time! Like you, I usually just throw chili powder, cumin, salt and garlic into my ground beef for tacos. Or when I'm really lazy 1 c. of salsa. But I'd like to have this prepared and ready in my cupboard!